For more than half a century, Famous First Facts has earned the accolades of reviewers and a place on library reference shelves nationwide. 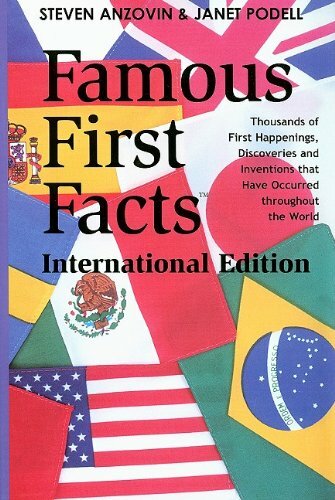 This International Edition of Famous First Facts expands coverage of first facts past the borders of the United States to chronicle important facts from all of world history. There are more than 5000 firsts from hundreds of countries, ranging in time from 3.5 billion years ago to the present. Five indexes permit the reader to find entries by subject matter, year, day, personal name, and geographical location.